A beautiful travel-sized guitar at a great price. 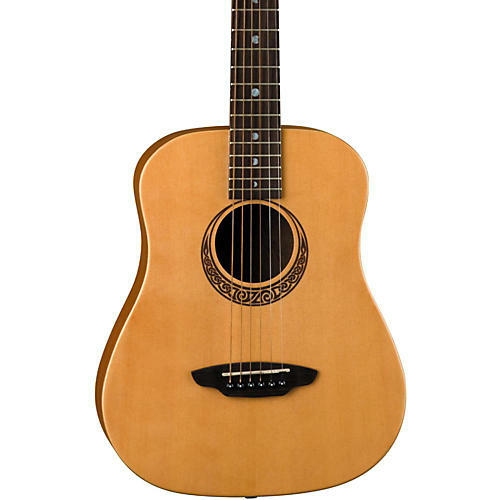 The Luna Muse guitar from the Safari Series is a 3/4 dreadnought travel acoustic that features a select spruce top and mahogany back and sides. The travel guitar features a Celtic laser etch around the soundhole. The acoustic guitar's 3/4 size makes it an ideal travel companion. Includes gig bag.